1. Shazam. Price = Free. Actually there is a free version and a paid version. We’ve all been at the laundry, a store, a friend's house, watching a movie and heard a song we liked but couldn’t identify. 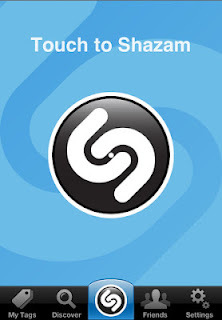 Just hold up Shazam and let the tagging begin. Not so great for discovering underground music, but it can identify most things played on the radio. 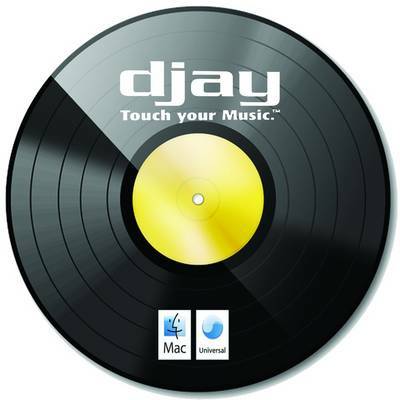 Djay. Price= $0.99. 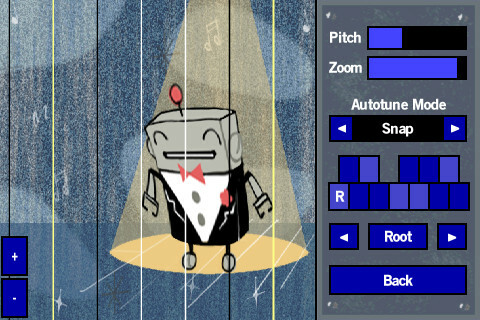 Can you really DJ a gig with this software? I don’t know, but I plan on finding out. I practice with this software on my iPhone 4, but have yet to use it at a gig. There are two very important things to know before you try to rock a house party with this app: a) you need the Y cable splitter made by Griffin (one signal for your headphone and one for the house). You can buy it here http://www.algoriddim.com/djay-ipad/accessories/dj-cable b) you have to turn your iPhone on “Airplane” mode to stop calls from coming in and interrupting your DJ set. With the addition of the Y cable, you have a complete DJ setup with two turntables, mixer, effects, BPM control, looping, cue points…you can even record your DJ mix. The best 99 cents I’ve ever spent. 1. Flashlight. Price= Free. If you’re anything like me you find yourself in dark places more often than not. 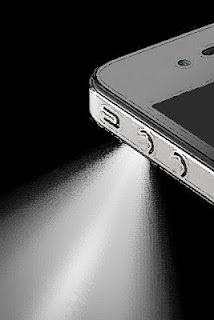 If you are a working DJ a flashlight on your iPhone is invaluable when working dark clubs. It’s one less thing to carry in your DJ bag. If you’re not a DJ you can still use a flashlight for everything from self-defense (shine it in his eyes and run) to finding dropped items. 1. Mic Pro. Price= $0.99. Sometimes a DJ will be in a hurry and forget his or her microphone for the gig. Mic Pro has you covered. 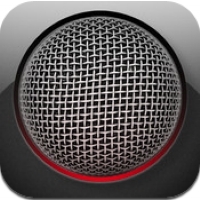 It turns your iPhone into a microphone. Just plug a mini-jack to RCA (or whatever works with your mixer) to your iPhone and you’re ready to run your mouth. 1. Top 100 Hits. Price =Free. 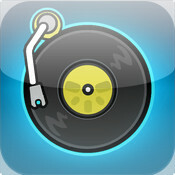 This app is for the working commercial DJ. It lists the top 100 hits all over the world. Hip Hop Top 100. Price = Free. 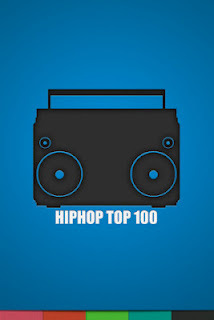 The same as Top 100 Hits only strictly Hip Hop. 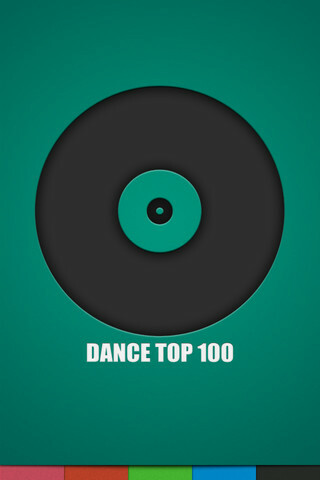 Dance Top 100. Price= Free. Same as top two only with dance charts worldwide. 1. 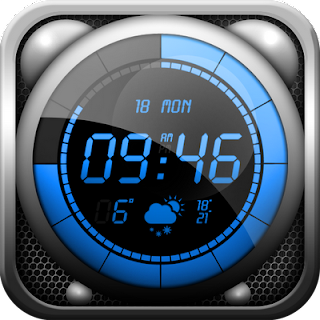 Wave Alarm. Price = Free. If you have ever used the alarm on your iPhone and accidentally knocked your phone on the floor trying to turn off the alarm then you might want to look into this app. Instead of fumbling and dropping your phone while half asleep, you simply wave your hand over your phone to kill the alarm. It even has a snooze. 1. Baby Scratch. Price = Free. This app only has one turntable and is pretty much just for fun. It comes with battle sounds and accompanying breakbeats to scratch to. Seems silly until you try it. Mad, mad fun! Action Movie. Price = Free. 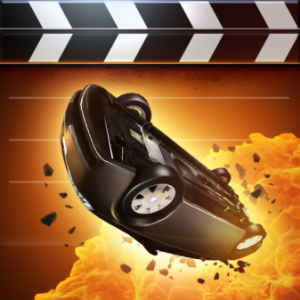 This app ads visual effects to scenes that you shoot on your iPhone. It has tumbling cars, missiles and other destructive toys. If someone gets on your nerves, you can record them and then virtually blast them with a missile. “Do you have Lady Ga Ga?” Eeeeeeeeeeeeeeee – boom! 1. iMaschine. Price = $4.99. 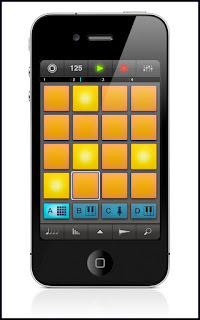 iMaschine is a DAW for producing beats and tracks on the fly. Great drum & snyth sounds and you can download more sounds from the store. 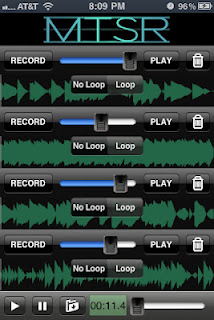 You can add vocal tracks as well. See Jamie Lidell’s awesome demo below. 1. Multi Track Song Recorder. Price = Free. I still can’t believe this is free. Basically it’s like carrying a 4-track recorder around in your pocket. It’s a good idea to use the headphones to gauge how hot your tracks are. Great app for getting down ideas. There is no time limit on each track, so you can write until you’re blue in the face. A musician/songwriter must have. Don’t let that next idea escape you. 1. Simple Tip. Price = Free. Who wants to eat, get drunk and have to do math? I don’t. 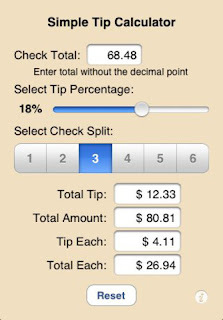 Simple tip calculates the tip you want to give by percentage and also splits the tip between how many people were partying. We all have those friends that try to cheat on the tip. Numbers don’t lie. Shove this app in their face the next go around. Google Translate. Price = Free. 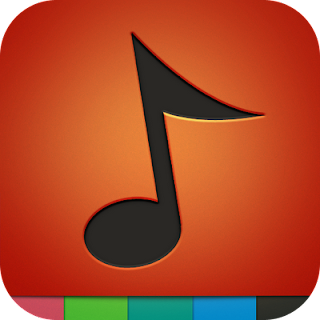 We don’t all have the luxury of being traveling musicians and tourists, but for those of us that do this is a great app to have. 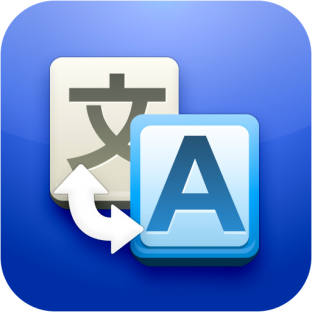 Google Translate can translate 64 different languages by having you simply talk into the app. It even spells out the translation to shorten the gap of misunderstanding. Skyscanner. Price = Free. Once again, this app is for the national touring/traveling types. 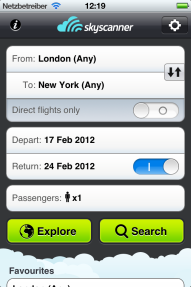 The app finds you the cheapest dates and places to fly available all over the world. You can share prices with travel companions and even book flights via the app. Great to have if you bounce around a lot. 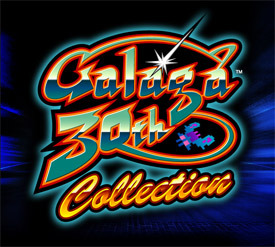 Galaga 30th Collection. Price = Free. On the toilet, at the airport, at the doctor’s office, waiting on your order at the Chop Suey…this game is the bomb! Yes, the game is 30 years old, but if you are anywhere close to my age you’ll dig it. Enough said. 1. 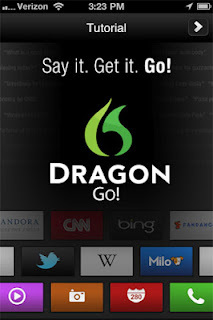 Dragon Go! Price = Free. So you didn’t want to spring extra for the iPhone 4S. No worries. Although this app doesn’t talk, you can talk to it and tell it where to go and what to do. Look up movies, find out the weather or just open an app with voice commands. Saves time and cuts down on phone touching. 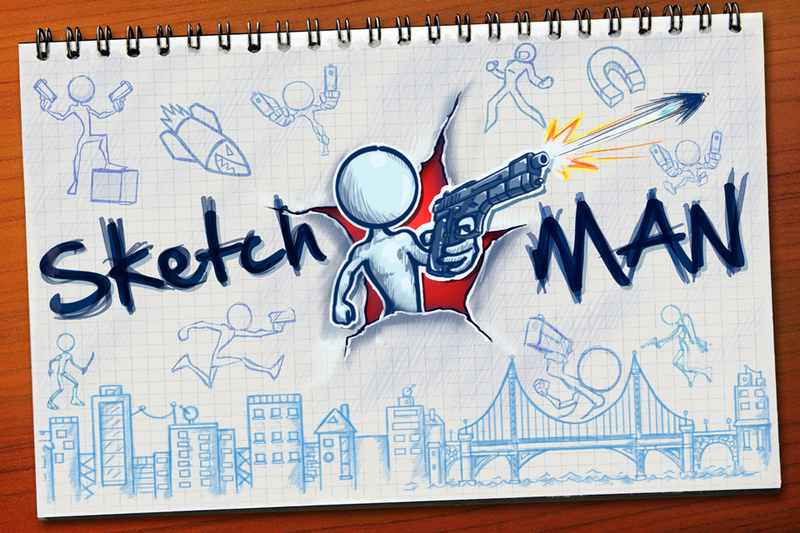 Sketchman. Price = Free. This is another airport time killer (pun intended). 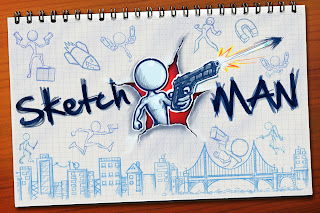 A roughly sketched man runs around jumping over things, collecting coins and shooting armed assailants. It’s like Mario Brothers with guns and sketchy graphics. 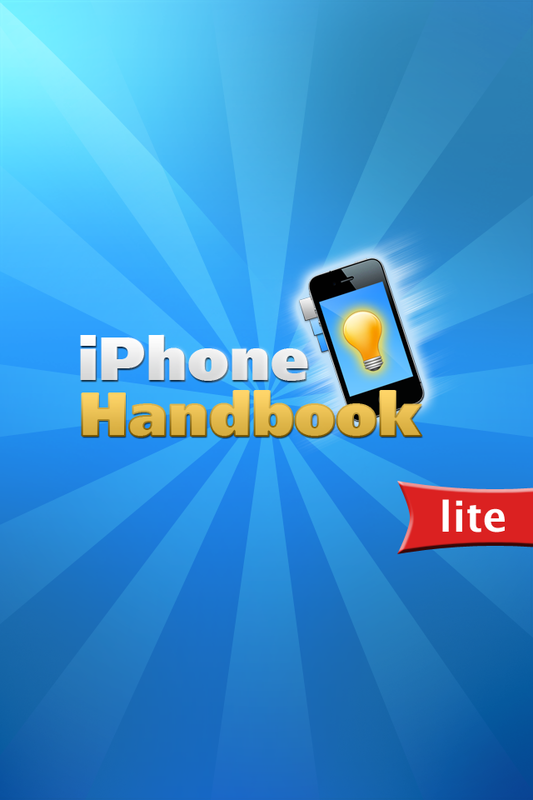 Handbook Lite. Price = Free. This app gives tips and tricks for getting the most efficiency from your iPhone. 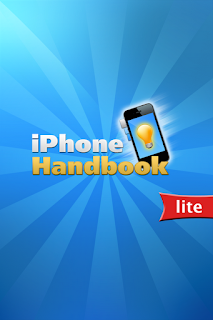 It teaches tricks like extending battery life, blocking calls and countless others.